To a master procrastinator like me, it sounded mighty appealing. 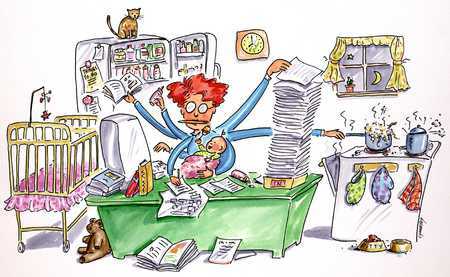 Wouldn’t we all be a little more focused and productive with the help of a stimulant? Maybe not every day, but just when the deadline was looming? 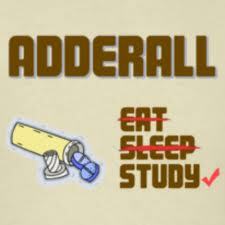 It reminded me of a piece a former TA of mine, then a college senior, wrote last year about Columbia students using Adderall to study for finals. It made me wonder if the younger generations are so accomplished–especially compared to us slacker Boomers at their age–in part because their drugs of choice tend toward Red Bull and Ritalin rather than those standard old depressants, booze and pot. Charlotte, now in bed with the jitters and the sheets over her head, was in a bind. So she did what any loving mother jacked up on Adderall would do: called a driver to go get the kids. In the end, everyone got home safely. But Charlotte never did come down. Last I heard, she was still awake and energized, contemplating the closets and the junk drawer. “It’s 7:45, and I’m back at my computer,” she wrote. “I feel GREAT!” Then: “Will I ever sleep again? The vodka ain’t cutting it.” There’s always the Adderall booster. This entry was posted in Family life, Parenting, Reality check, Working motherhood and tagged Adderall, hyperactivity. Bookmark the permalink. That Charlotte sure is something! You are always a pleasure to read.